Omaha, Neb. 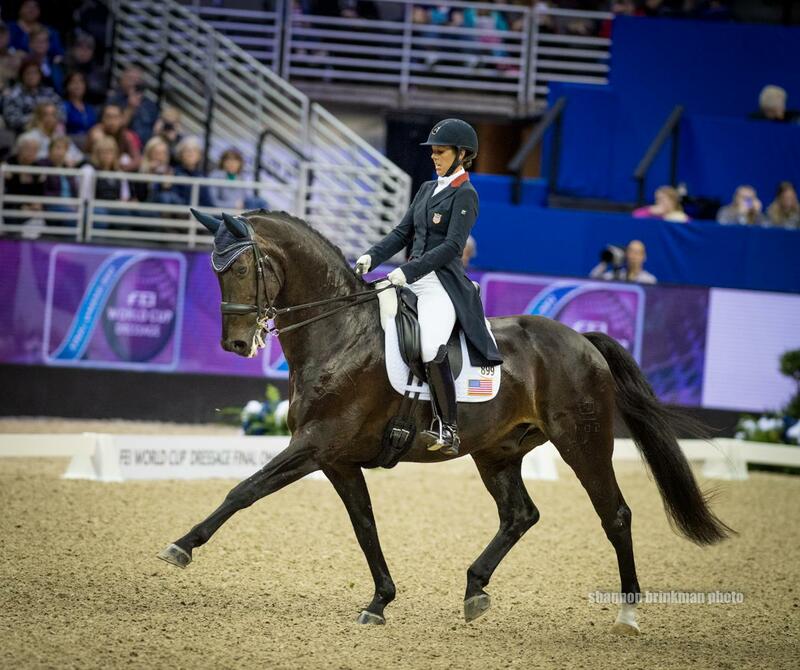 – Laura Graves and Verdades scored a personal best Grand Prix Freestyle of 85.307% to place second in the FEI World Cup™ Dressage Final on Saturday. Kasey Perry-Glass and Goerklintgaards Dublet and Steffen Peters and Rosamunde closed out the competition in the top 10. Isabell Werth (GER) and Weihegold OLD were the 2017 champions with a score of 90.704%, while Carl Hester (GBR) and Nip Tuck finished third with a score of 83.757%. Graves (Geneva, Fla.) and her own Verdades, a 2002 KWPN gelding, wowed the crowd with a fantastic freestyle full of artistic beauty and technically difficult elements. 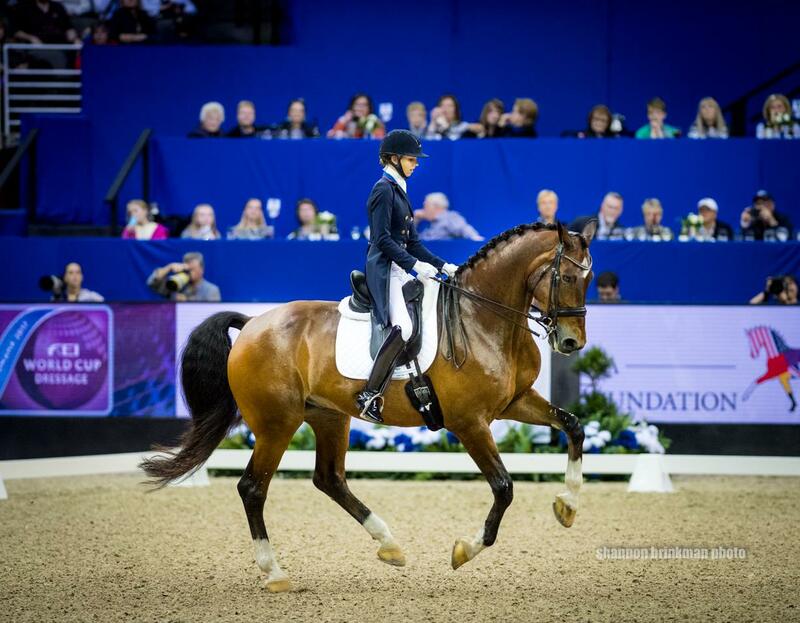 Two tempi changes on a curve followed by one tempi changes and lovely canter pirouettes mesmerized the home crowd. Perry-Glass (Orangevale, Calif.) had a strong performance in her debut at the Final with Diane Perry’s Goerklintgaards Dublet. She and the 2003 Danish Warmblood gelding finished on a high note despite bobbles in an extended trot movement and in the one-tempi changes. The pair received a score of 77.068% to finish in seventh place. “I am very happy [with our score]. This is his first time in the indoor; there is a huge crowd. I couldn’t ask for a better ride from him,” Perry-Glass said. Peters (San Diego, Calif.) had a solid performance with Four Winds Farm’s Rosamunde in the one of the biggest tests of the mare’s career. The 2007 Rheinlander mare handled the electric atmosphere well thanks to Peters’ guidance. They executed wonderful pirouettes and half-passes. 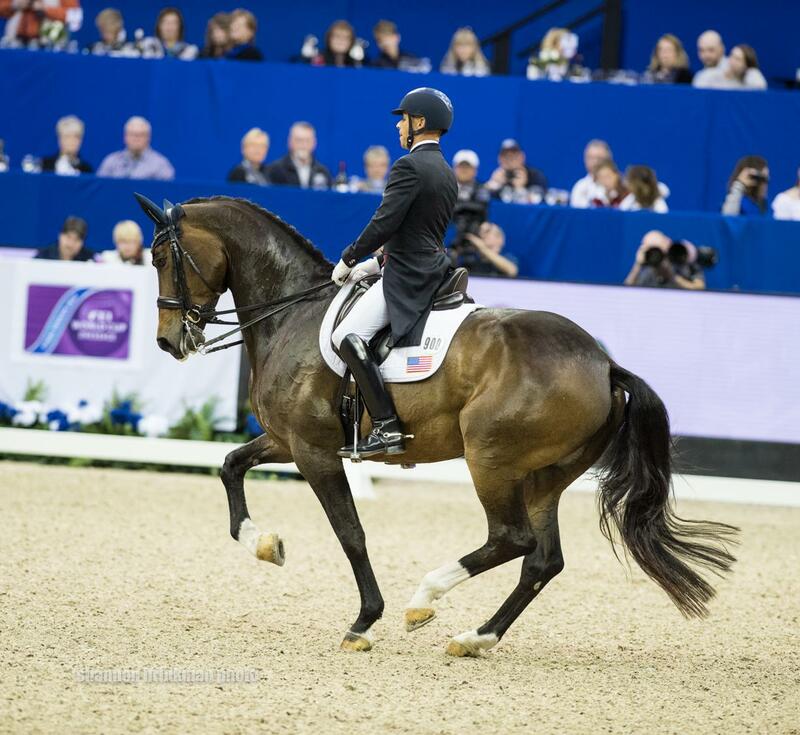 Peters and Rosamunde collected a score of 75.879% to finish ninth. 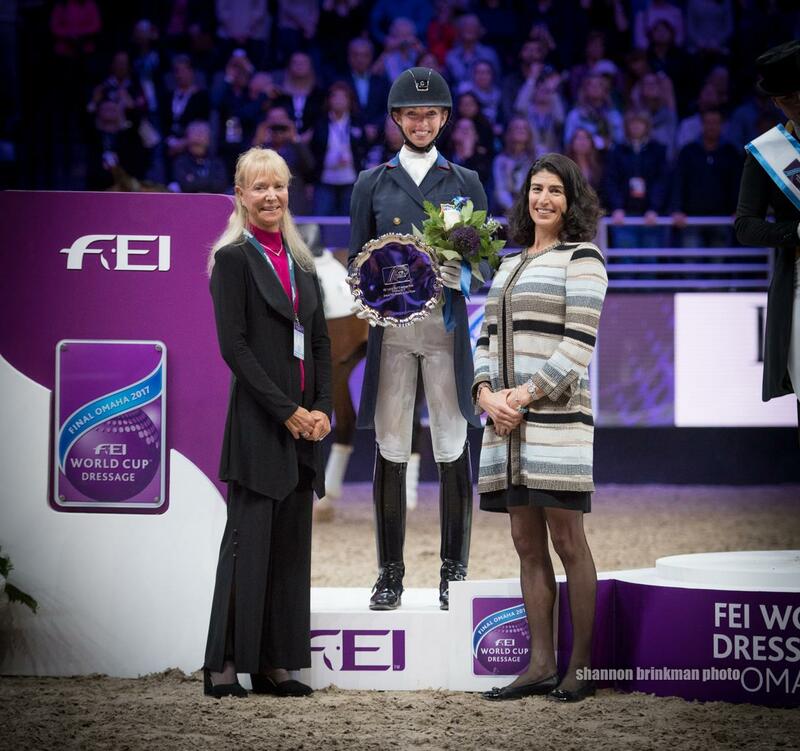 View final results for the 2017 FEI World Cup™ Dressage Final. Follow US Equestrian for coverage of the Final and more on Facebook, Twitter, Instagram, and Snapchat.